I prefer to let the reader envision each character, but just for fun, I “cast” my make-believe movie version of Peer Through Time. Here are a few of those. It turns out to be a good exercise for visualizing the characters while writing them, even if they don’t look exactly like that. I can picture Emma Stone [The Amazing Spiderman; The Help] as Carmela Akronfleck (Peer Through Time’s protagonist; Chief Technology Officer of Wakeup Technologies; inadvertent time traveler who is trying save her family from a killer). 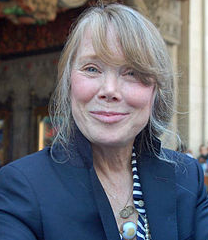 Toward the end of the book, an older Carmela makes a brief appearance, and I imagine her looking like Sissy Spacek. 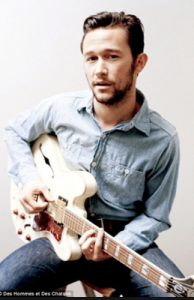 Joseph Gordon-Levitt [3rd Rock from the Sun; Inception; Lincoln] as Kass (Carmela’s psychotherapist, a non-biological person created by Peer Industries). Betty White [The Golden Girls; Hot in Cleveland] as Margaret Akronfleck (Carmela’s and Della’s adoptive mother; retired CTO of Wakeup Technologies). 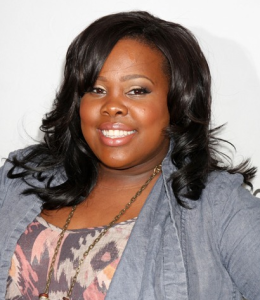 Amber Riley [Glee; The Wiz Live] as Della Payne (Carmela’s adoptive sister; Wakeup Tech’s Director of Public Relations; mother-to-be). 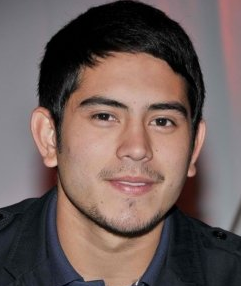 Gerald Anderson [Nathaniel; On the Job] as Jimmy Westmoreland (Carmela’s love interest; a self-educator who rises above his primitive roots while taking care of his brother and Aunt Lasha). 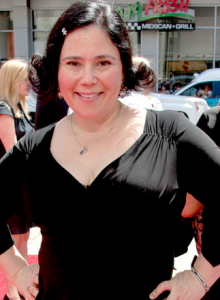 Alex Borstein [Mad TV; Family Guy] as Lasha Westmoreland (Jimmy’s aunt and Carmela’s close friend, whose eccentric behavior serves as comic relief, and whose mysterious origins underscore the theme of identity). 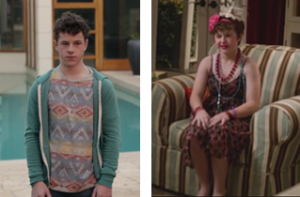 Nolan Gould [Modern Family] as Eric Drake (Carmela’s childhood friend, shown in flashbacks; convicted of murder late in life; dead during the events of Peer Through Time). On the right we see Gould as “Betty Luke” Dunphy. Though Eric doesn’t appear in drag during the flashbacks, this could be a preview of things to come in the trilogy. Darn! 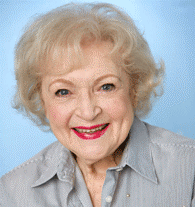 Betty White won the role I wanted!